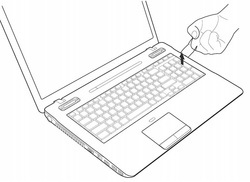 This guide is extracted from Toshiba official manual, if you want to disassemble your computer completely, you can email us for getting the complete manual. 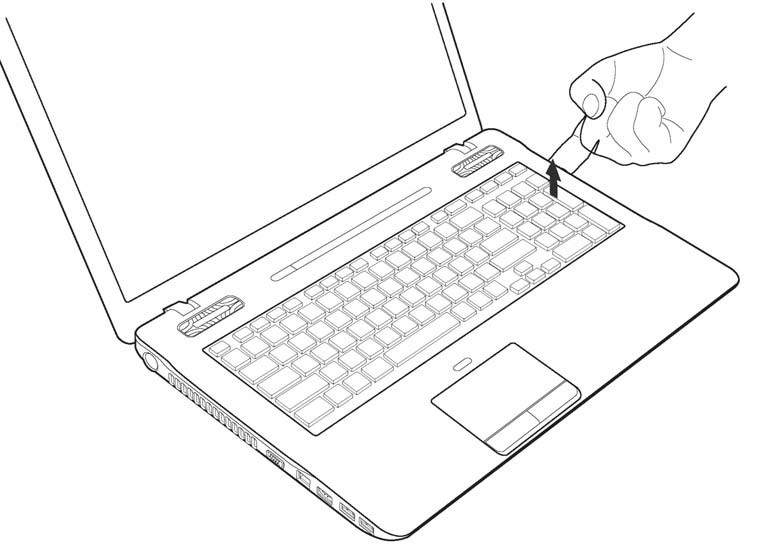 In this guide, the actual laptop is Toshiba Qosmio X770. Its keyboard is the same with Toshiba Qosmio X775 series keyboard. 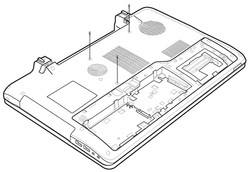 First of all, turn off your Toshiba Qosmio X770 / X775, disconnect the power adapter and remove the battery. 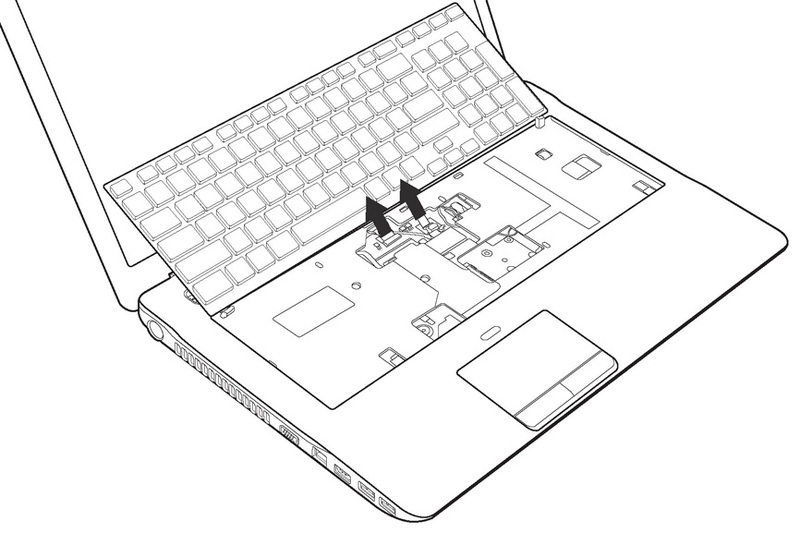 Remove the three M2.5x6 screws securing the keyboard. 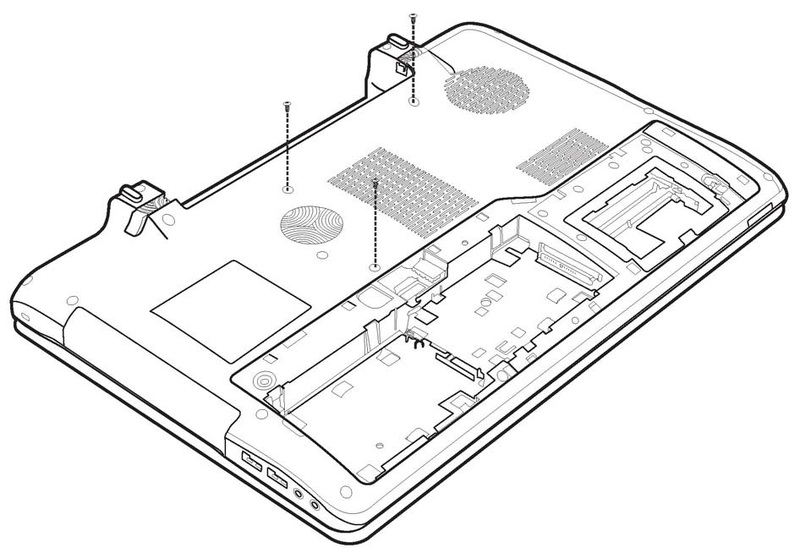 Open the display panel. 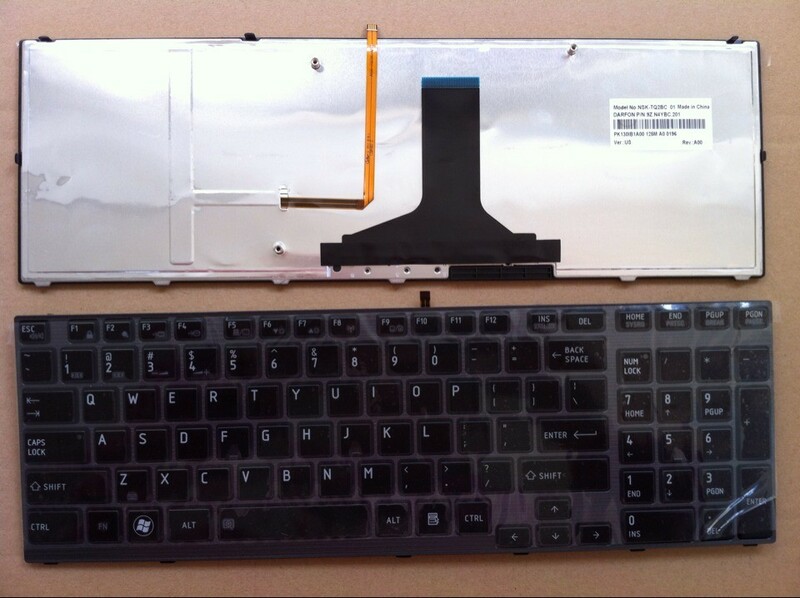 Gently pick up the keyboard by prying up the plastic sheet from the ODD bay. 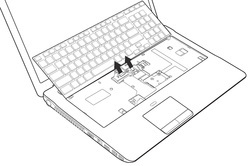 NOTE: There is a hole for prying up the keyboard in the ODD bay. 6. 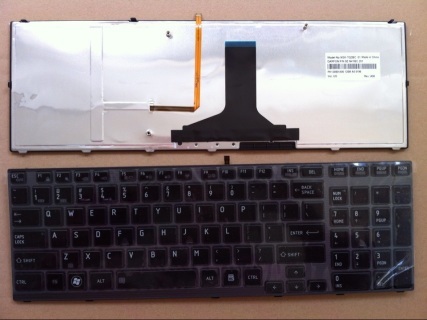 Reverse the procedure to install the new Toshiba Qosmio X770 X775 keyboard.